Wow it seems that lots of you like bread and potatoes, just like me. I´ve received 53 54 entries from 11 different countries. It's been so much fun seeing the entries come in with all those wonderful loaves, rolls, buns, ecc. Thanks Zorra for this wonderful event and for giving me the opportunity to host it. Here´s this months ROUND UP. (if you see a mistake or you´re missing... please email me and I´ll fix it). 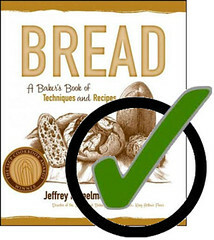 Thanks all for participating and making this month another wonderful Bread Baking Day event. 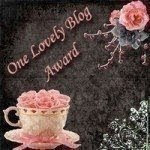 Next month will be hosted by Mansi of "Fun and Food Blog", she will be announcing the new theme on march 6. So don't forget to take a look then! This first part of the round up includes all the larger breads and part II can be found here and is all about smaller breads: rolls, buns and pizza. 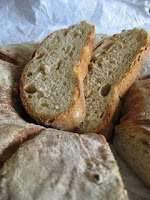 Jamie from "Life's a feast" send in two entries (take a look at PART II for the second one) and really made a fantastic bread with potatoes: "Real Italian Potato focaccia with olives". With a crispy crust and a moist and tender interior. Judy from "Judy's Gross eats" really dove into this challenge and also made two breads to try out different flavours. 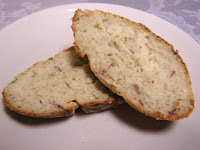 She choose chives for her first bread : "Potato Chive Bread". A great choice with potatoes! 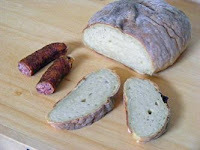 Judy's ("Judy's Gross eats") second bread has a classic combination of potatoes, rye and caraway. 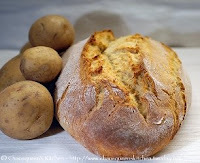 This bread looks equaly good: "Potato Rye Caraway Bread"
Vanesuky ("Vanesuky entre Fogones") baked a wonderful "Potato bread with muesli" using her mother's recipe with added muesli. Beautiful rustic loaf! 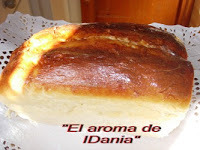 Another Spanish entry came from IDania ("El aroma de IDania"). 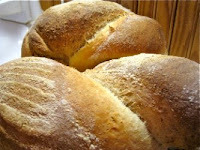 A wonderful "Pan de Patata", a beautiful high white bread that really makes you want a slice (or two). And another amazing entry from Spain, Zorra ("1x umrühren aka Kohtopf"), who initiated this event over 1 1/2 year ago, baked us a wonderful fluffy "Potato-walnut bread with crème fraîche". You can see how soft the crumb is inside on the picture very well, my kind of crumb. Priyasuresh ("Priya's Easy N Tasty Recipes") sometimes has trouble with the outcome of her breadbaking, not this time though her "Potato Bread" turned out wonderful. Flavored with oats, onions, parsley and pepper is was a treat with soup. Natashy ("Living in the kitchen with puppies") baked us a wonderful "Potato Rye Bread". A very healthy choice with all whole wheat and whole rye. Thanks to the humble potato it still has a lovely crumb. Poornima ("Tasty Treats") bake her first bread and she did a great job. 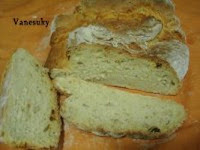 A wonderful airy "Potato bread", we're honored that Poorima's first bread was for BBD! Keep baking! Nancy ("The dog eat the crumbs") baked a "potato bread with three wheat flours". 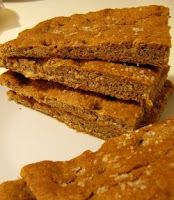 She used three kinds of wheat to give some more taste and bite (and healthy too! ), and it turned out to be great toastbread too! Chuck ("The knead for bread") took this wonderful picture of "this equally wonderful "Potato sour cream and chive bread". Again we see that sour cream and chives make a fantastic bread! potatoes instead of mashed : "Roasted Potato and onion bread". 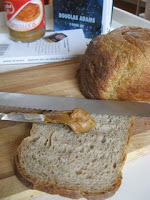 Maybe a choice most wouldn't think about straight away, but it adds loads of flavor to the bread. Astrid ("Paulchens Foodblog?!") made a wonderful loaf with beer! 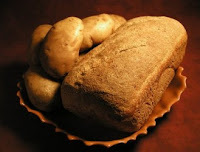 "Guinness potato bread", I just wish I could taste that. Anyone who likes beer and crisps must love this bread I think. Thanks Astrid! Asha ("Aroma!") also used sour cream in her bread: a "Sour Cream Potato Loaf", she also spiced it up with different spices. Wow that must have not only smelled good in your kitchen, but tasted great with that wonderful soup she made. 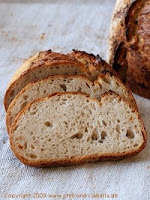 A wonderful "Potato Rye Vienna Twist" came our way, send by the amazing Tanna ("My kitchen in half cups.. second helping"). She baked four breads, but only this beautiful two-colored loaf met her standard to be a BBD entry. And it sure is a stunning loaf! Susan ("Wild Yeast") did an outstanding job baking with potatoes. Two versions of "Roasted potato sourdough" bread she made. And all of them are pretty as a picture both on the outside as the inside! Wonderful! Andreas ("Delta Kitchen") wasn't all satisfied with the way the crumb of his "Rustic potato bread" looked, but I say he´s done a great job. And a real rustic look to it, which I really love. Karen ("Bake my day!") went straight ahead and baked two breads both using a poolish. 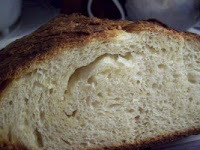 "Potato bread no.1" with potato flakes and different wheat flours, a wonderful airy bread. The second loaf Karen ("Bake my Day!") baked was... you've guessed: "Potato bread no.2". Also using potato flakes, but now also with corn flour and sprouted wheat berries all the way from Sweden as well. Petra ("Chili und Ciabatta") always makes the best loaves of bread. 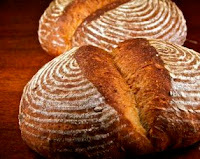 No exception this time with "Crusty potato bread with rye sourdough" that uses potato flakes in the soaker made one day before baking. This crust is just amazing!! 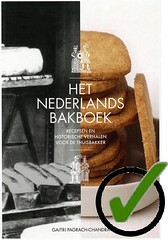 Aranka ("Koken in de buurt") is the first that made bread with sweet potatoes, that were left over! 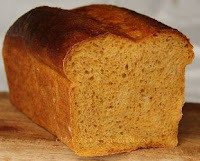 "Sweet potato bread", it gives a great color and a silky and soft crumb. Unfortunately no recipe, but a picture to inspire us. Nick ("Imafoodblog") used crispy bacon and little cubes of roasted potato in his "Bacon and Potato Ciabatta". It was a winning combination, great to see all those pieces of potato in the bread too! The lovely Natalia ("Gatti, Fili e Farina") baked us a wonderful "Potato au gratin bread", with potato ánd cheese, that is a winning combination girl!!! Dulmina ("Dulmina tündérkonyhája" -Dulmina's fairy kitchen) baked a wonderful "Bread with cream and potatoes", made with spelt flour and scredded potatoes. She also baked "vegetable pie with potatoes", though that doesn't really qualify as bread, you can take your own look on her blog. 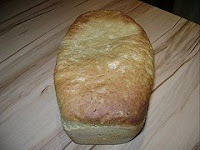 Shelley ("Adventures with the Woods") baked a "Sourdough rye bread", with mashed potatoes in it. But that was not all she did with the potatoes, she also made her own potato water starter from scratch, WOW! 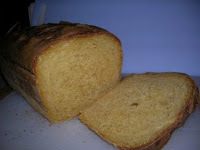 Claudia ("Claudia's Kitchen Creations") baked two wonderful breads with potato, one of them is this "Sweet potato bread", look at that wonderful color and airy crumb! 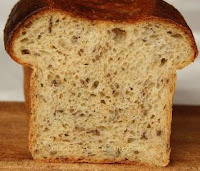 The second bread Claudia ("Claudia's Kitchen Creations") made is this wonderful "Potato Bread" with flaxseeds, that also looks light and airy. Jacqueline ("Toxo Bread") baked this wonderful "Baked Potato Mash" flavored with potatoes of course, but also scallions, garlic and bacon. She also used yogurt... you made it work!! Isis ("Yambalaya") baked two round loaves "Russian Potato Bread". It was her first time with potato bread and she did a fantastic job! Sus ("Corum Blog") needed some bread to go with a bean stew. Some googling later and she made this simple but wonderful "Flat potato bread". A wonderful complement to a great meal. Love the color too! Katja ("Kaffeebohne") made a perfect round "Potatoe Bread", she used small chopped potatoes in her bread, that seem to work very well! We're almost at the end of all the larger loafs, this one from Chaosqueen ("Chaosqueen's Kitchen") was the final entry and boy doesn't it look great! 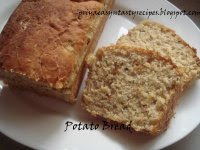 She got inspired on her trip to Berling and baked this great loaf: "Cynthia's Potato Bread". O almost forgot my own bread....: Potato loaf made with mashed potatoes, whole wheat, flax seeds and a pre-ferment. Thanks to all the participants that baked and send in their entries, thanks to Zorra for initiating this great Bread Event. It's been a joy to host this month. 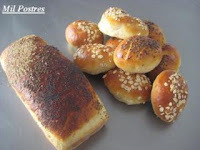 Don't forget to take a look at the round-up Part II (smaller breads) ! See you next time. Wow! I am amazed! 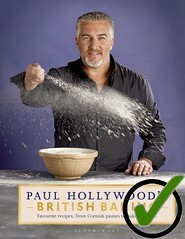 I am proud to have participated in this challenge - my first - with such a impressive group of bakers. 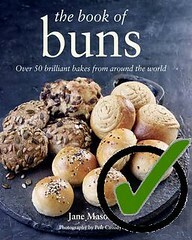 Each bread looks great and there are definitely some I will be baking myself. Thanks Lien and Zorra! Thank you Lien for these wonderful roundups and also a big thank you to all the participant! what a great job everyone did. Thank you for hosting this fun and creative event. Some real talented people doing some amazing baking! 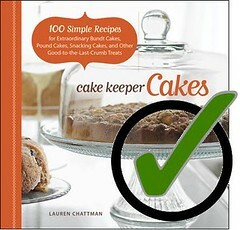 I am proud to have participated in this challenge with such a impressive group of bakers. Thanks Lien and Zorra, of course! What a wonderful round up. Thanks for hosting the event. Hoi Lien ik heb dan wel niet mee gedaan maar volg zulke dingen wel. 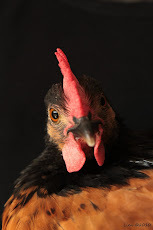 Wat een mooie en lekkere broden staan er bij zeg. Wat een werk moet jij er ook aan gehad hebben om dat van commentaar te voorzien. Petje af hoor! Hihi was nog niet helemaal klaar, ging even mis. Wat een prachtige verzameling zo, en zo mooi vormgegeven! Hallo Lien, wat een lekkere broodjes allemaal. 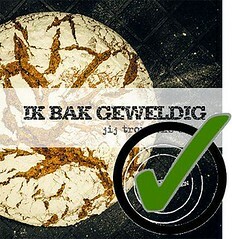 Het was een leuke uitdaging met geweldig resultaat. Ik ga er zeker een paar uitproberen. so many entries, so many lovely breads! I really like each of them! 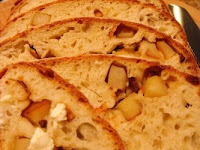 Who knew you could make such a variety of wonderful breads, all with potatoes in them! Great round-up, thanks for all your hard work, Lien. WOW! Look at all those fantastic breads! Great round-up. 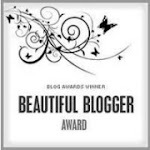 I knew this was going to be a wonderful roundup as I started seeing so many potato breads around the blogosphere during the month -- and wow! 54 breads, all incredible. 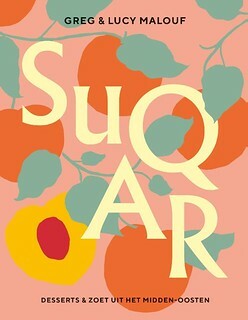 Thanks so much Lien for hosting this great theme and for putting together the fantastic roundup. THANK YOU ALL! it's been my pleasure. A lot of things to bake again... will my baking list ever get shorter????? What a wonderful round-up! I'm sure I'll try some of these fabulous breads. Thank you for mentioning my other recipe as well.